Hi and thanks for checking out the newsletter again this week. We've got some great links in this weeks episode. Xamarin University has been piloting a new program called the Xamarin University Satellite Campus Program, with a goal in mind to enable the next generation of developers. Here is an amazing piece of proof of concept of a "lite" Xamarin.Android. Note it's really just a proof of concept and only supports Xamarin.Forms. But it's pretty magical and worth having a look at. The app splash screen, also referred to as a launch screen/page, was originally created to reduce user frustration when waiting for web/iOS/Android app data to load. As time went by, wise designers began making use of the splash screen to showcase their apps’ products, features and services, etc. What makes a good splash screen, check out this article for some ideas. Really interesting numbers for recent mobile development. Learn how to integrate automated visual user interface tests into a development toolchain that includes Xcode iOS simulator using Xamarin, Appium, Applitools, and MacOS. Android 9.0 (P) introduces many features such as Wi-Fi RTT(Round-Trip-Time), Display cutout support, Notification enhancements, Multi-camera support, and much more. We’re excited to announce Xamarin.Android support for Android 9.0 (P) in our latest preview release of Xamarin. You might not always like the way iOS renderers Separators in Xamarin.Forms. Well, you can change it. On July 19, 2018, Syncfusion hosted a webinar to demonstrate how to use our list view and diagram controls to build first-class Xamarin apps. If you were unable to attend the webinar, you can catch up by watching the recording on YouTube. 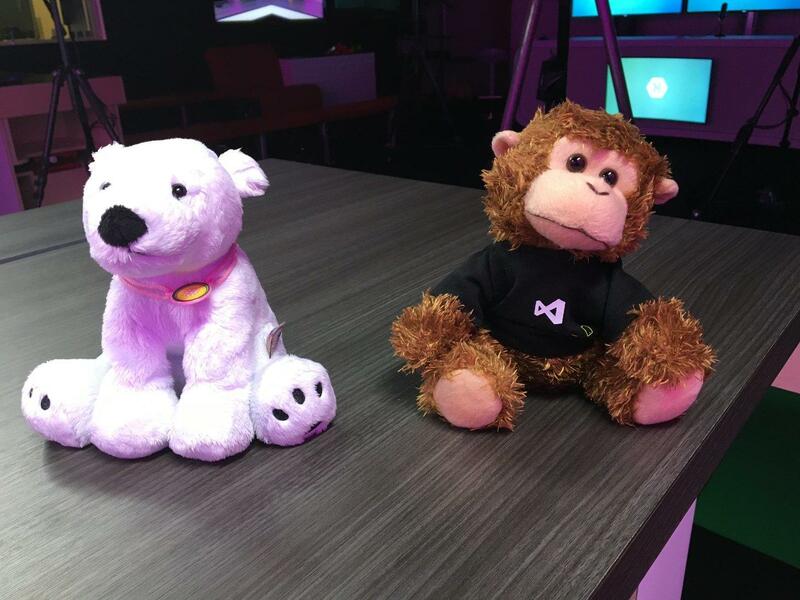 What are the new features in Xamarin.Forms? Damien Doumer lays it down. In this edition of "Ask Motz", James solve a very common problem when working with lists of data and how to filter them. Building on his previous blog post about alternate row colors in a ListView. Gerald discuses alternate row coloring on grouped ListViews. Realm is a database built from the ground up for the unique challenges of mobile app development, that runs directly inside phones, tablets or wearables. If you want to look at alternatives to SQLite check out this introduction to Realm. MvvmCross is one of the most popular MVVM frameworks for building cross-platform applications. In this article, Nick talks about how you can debug MVVMCross and also some guidelines on how you can contribute. If you use MVVMCross (or even if you don't) maybe it's time to set yourself a personal challenge to contribute something back to the community. Check out how you can use Azure Blob Storage in your applications to store and retrieve data. Get started with Easy Tables on Azure to build a super simple backend to your mobile application. Working your way through the masses of documentation and resources available to get started with Azure can be extremely challenging. Use these learning paths to guide yourself through the documentation to build effective cloud applications on Azure. This week, James is joined by friend of the show Aaron Melamed, Product Solutions Specialist at Syncfusion. Aaron walks us how Essential Studio for Xamarin enabled developers to take advantage of beautiful controls in their Xamarin.iOS apps. No one, including those at Apple who created it, expected the App Store to become so robust and important in the lives of mobile users. POSSIBLE Mobile CEO Ben Reubenstein had one of the first 300 apps in the store and now leads a company working on some of the most popular apps, including ones developed for the PGA TOUR, JetBlue, and many apps for Turner Sports. Ben gives us his view of the next decade by reviewing events in the last one.